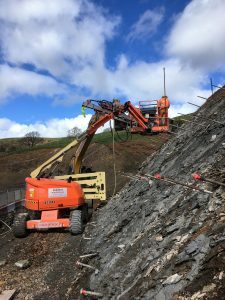 In March 2017 Condor Project were engaged by BNM Alliance as a sub-contractor to reinforce a rock cutback bank immediately adjacent to the site where they will be constructing the tunnel boring machine. 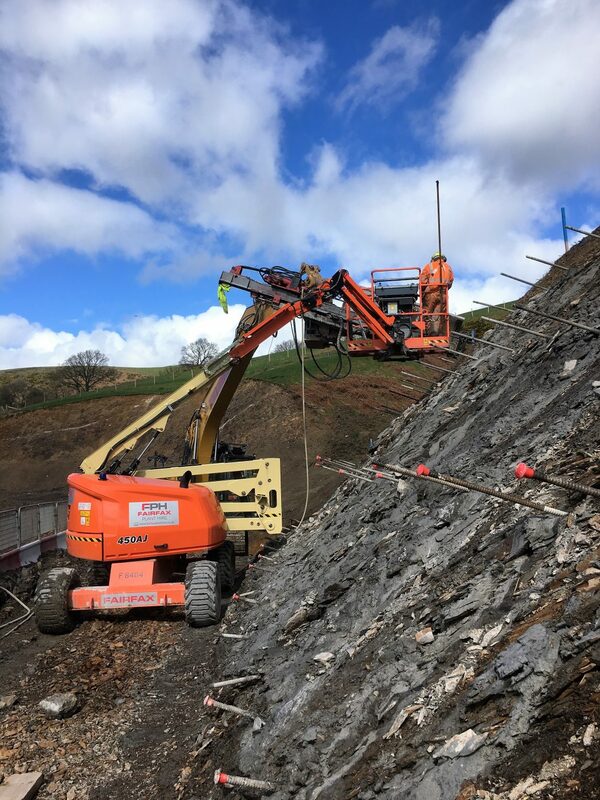 The cutback has been separated into 2 major sections, the Upper section has been cut at 45deg, which is where we are nailing now, and the lower section that will be cut at 70deg. The Upper bench has then been subdivided into 2 sections along its length, section A and B. Section B upper is the heaviest nailed section with 1.0m horizontal and 1.25m vertical spacing’s and 12m nail length, all nails are dipping into the face at 20deg. On section A upper the horizontal spacing has gone to 1.200m spacing and remained at 1.250m as the vertical spacing. However the nail length has increased to 20m. The SI drilling indicated that the rock formation was a fairly uniform slightly fractured mudstone, which did not pose any technical issues for the drilling program. However in reality when we got started the ground was heavily fractured, with a mix of very hard rock, very soft rock, clay and voids, which has caused our drilling program and number of technical issues, but most importantly reduced our actual achieved nails to fall behind the schedule. 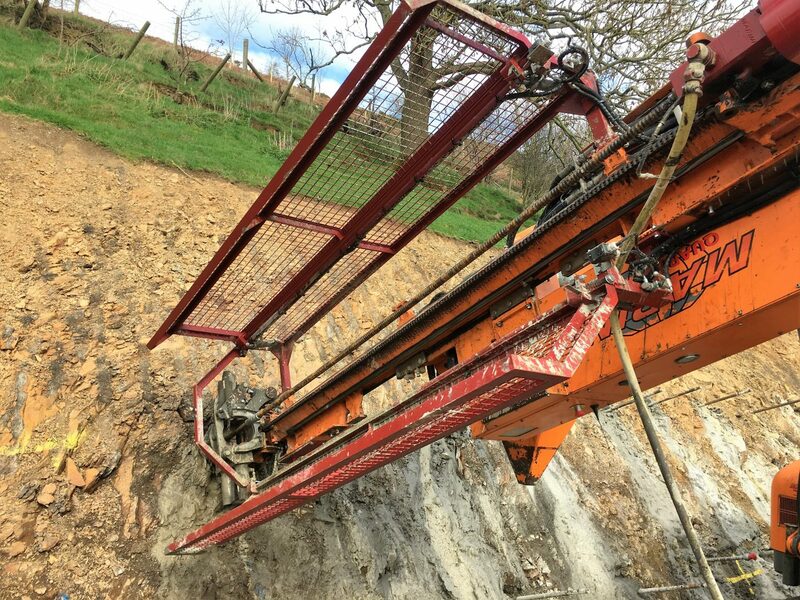 We have successfully overcome all of the technical issues with drilling the nails but the drilling remains significantly slower than anticipated. Condor has responded in a very positive manner by bringing a second TEI drill rig to work alongside the Marini Baby Giraffa rig originally designated to this project. We are also working 12/day 7 days a week to achieve a program as close to design as possible. It is anticipated that we will run at least one of the drill rigs through the Easter weekend to maintain the momentum that we have achieved.